MainAll NewsMiddle EastANALYSIS: Will Middle East turmoil finally reach Jordan? 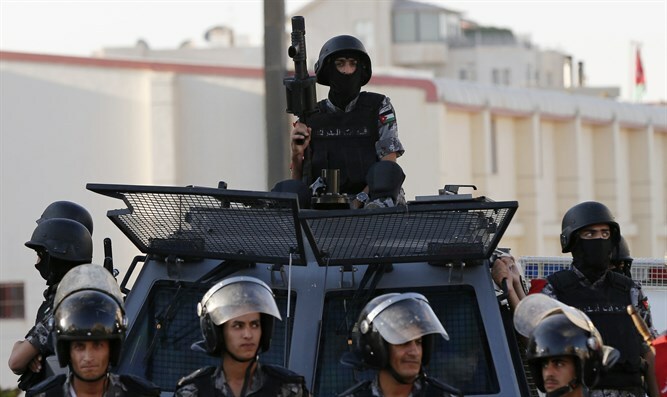 Is Jordan about to become a victim of the misnamed "Arab Spring?" Will the turmoil that has devastated the Middle East since 2011 finally reach Jordan? This is the question many observers ask after four days of massive protests by thousands of Jordanians across the kingdom after the Jordanian government approved austerity measures that were part of a $723 three-year loan given to the country by the International Monetary Fund (IMF) in 2016. The austerity measures included a sharp increase in income and incorporation taxes as well as an immediate hike in fuel and electricity prices and the cancelation of bread subsidies. Every Jordanian citizen with an income of $11,000 or more will now have to pay 5 percent more income tax. At the same time, companies and businesses will face a rise in incorporation taxes by between 20% and 40%, a measure that could lead foreign companies to decide to leave Jordan, further dampening business confidence in the country. The IMF loan was given to help cut Jordan’s $37 billion national debt and to stimulate economic growth in the country. Most Jordanians are already struggling to make ends meet as a result of a stifling economic crisis which has caused a steady rise in prices and taxes in a country that has roughly three million refugees within its borders, 656,000 of them displaced Syrians. The Jordanian government has already spent an estimated $10 billion on the influx of Syrian refugees, while at the same time the country had to cope with a reduction in foreign aid. For example, the $1.3 billion financial aid the United States is providing to Jordan annually is at risk of being halted or reduced by the U.S. as a result of a general review of foreign aid by the Trump Administration. The review comes atop of a sharp cut in US aid to UNRWA, the UN agency which is exclusively providing services to the roughly 2 million Palestinian Arab refugees and their descendants in the Hashemite kingdom, and which has increased the burden on the already very weak Jordanian economy. In addition, the Gulf states also contributed to the mounting problems in Jordan by not extending a five-year aid package worth $3.6 billion at the beginning of 2017. The EU think tank Europarl, furthermore, has called the impact of the Syrian refugee crisis on Jordan “immense”. King Abdullah has blamed the current crisis on outside factors. "The problem does not lie in Jordan. Jordanians are ready to sacrifice for their country, and with their strong resolve, we will persevere and overcome these challenges, as we have surmounted others before," the Jordanian king said during an emergency meeting with his top aides in Amman. While Abdullah was speaking, about 3,000 angry demonstrators clashed with Jordanian security services who waived Jordanian flags and carried signs reading "we will not kneel” and shouting anti-regime slogans. Afraid the current crisis could spin out of control and play into the hands of the Muslim Brotherhood, which always had strong presence in Jordan, and ISIS which has been plotting to destabilize the Kingdom since the establishment of its ‘Caliphate’ in 2014, lawmakers in Jordan have now announced they will in majority vote against the new legislation. At the same time, representatives of the Jordanian trade union met with Prime Minister Hani Mulki to discuss cancellation of the tax and price hikes. King Abdullah, meanwhile, apparently fearing his regime is in danger, urged the Jordanian government to reach consensus on the draft legislation and to find a solution which would not increase “the burden” on the Jordanian people. “Self-reliance is not just a slogan and does not mean simply imposing taxes," the King said while calling for the founding of an “effective government agency capable of providing quality services and attracting investment." The Jordanian government now hopes the current wave of protests will serve as a catalyst for the international community, and especially Saudi Arabia and other wealthy Arab countries, to provide more financial aid to Hashemite Kingdom in order to stave off a larger scale popular uprising which could topple the regime of Abdullah II. “Sponsors of the new law should take into consideration at their peril the geopolitical climate in the region,” veteran political commentator Walid M. Sadi wrote in an op-ed for the Jordan Times.